Comet 219462A - Carter Bros G758 - Max-Torque 20656 | Comet Industries 20 Series Driven Clutch, 3/4" bore, 7" diameter. Replaces: Comet 219462, 219462A. Comet 217775A, Comet 217775, Comet 21D7. Home > COMET INDUSTRIES BELTS > Comet 203591 (A or DF). 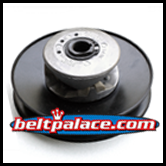 Comet Industries belt 994-80 > 204332A (3-Pack) Insert buttons. Manco 6804 buttons. > Comet 219818A (3-Pack) grey Insert buttons (snap-in). > Comet 219462 (A) - Comet Industries 20 Series Driven Clutch, 3/4" bore, 7" diameter. 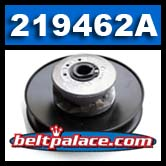 Comet 219462A - Comet Industries 20 Series Driven Clutch, 3/4" bore, 7" diameter. Comet 219462A - Comet Industries 20 Series Driven Clutch, 3/4" bore, 7" diameter. Replaces: Comet 219462, 219462A. Comet 217775A, Comet 217775, Comet 21D7. Fits many Carter Brothers G758, Manco, Murray, Kartco, and others. Used on Go Karts, Mini-Bikes, Boonie Bikes, Golf Cars, ATV's, and other utility vehicles. Genuine Comet Industries part. NOT an Imported Knock-off or "clone"! These Comet Industries part #219818A 3-Pack of �grey� snap-in Insert buttons replaces worn out, lost or broken buttons on Comet 20 Series, 30 Series, and TAV Go Karts including Manco 6808, Kenbar 300-015A models.